What’s New in Watermark Kids? Last year was a historic one in the life of Watermark Community Church, especially as it relates to children’s ministry. The most obvious event was the opening of the brand new Watermark Kids Building. But that’s not all. In addition to that, we rolled out an upgraded curriculum for Starting Blocks called “The Big Picture”, started up Watermark Kids ministry at our new Ft. Worth campus, and saw a record number of children walk through our doors! All praise and honor goes to our God! This is His work and we are just thrilled that we get to serve alongside of Him. With all of that, one might think we’d just ride that wave for a while and take a rest, but the Lord has different and better plans, we believe. As our team has prayed about the next hill the Lord might want us to take, we feel that he has led us to two very important new initiatives in 2013-14. On Sunday, you heard Todd say that it has never been our goal to get big, but it has always been our goal to make disciples. With that in mind, and under the leadership of our elders, we have made it our goal on our Dallas campus to provide a leader in every classroom from birth through 1st grade and a leader for every small group from 2nd through 5th grade who will be there WEEKLY to shepherd and disciple your child. We believe that providing this consistency creates an environment that is most conducive to effective discipleship taking place. We say often around here that “the bigger we get the smaller we must become” and believe that by offering this weekly touch point for you and your child, we can make this ever-growing church an even smaller and more intimate gathering. We have been amazed at the ways the Lord has provided leaders for us so far, but still have some spots open, so if you or someone you know is interested in serving with us please be sure to check out the various opportunities available to serve and fill out an application. One of the highest priorities we have in Watermark Kids is to partner with parents in the discipleship of your kids throughout the week as described in Deuteronomy 6:6-9. Many parents don’t know where to start when it comes to that task, so it has been our goal for years to give you simple discipleship starting points that are easily accessible. Given the digital world we live in, this year we are taking all of our Sunday parent pages and making them available right here on the Watermark Family Blog. You will notice less and less paper going home with you and will be able to open up the blog on your phone even before you pick your child up so you can ask them specific questions about what they learned that day. Be sure to subscribe to or bookmark this blog to use these great conversation starters and activities we will post every Sunday so you can REINFORCE, REMIND, and REFLECT with your kids on the things we’re teaching. We will also continue using social media more and more to engage with you and encourage you to engage with your kids over God’s Word. You can find us on Watermark Kids on Facebook or on Twitter and/or Instagram. As you see these new initiatives implemented this new year, we’d love your feedback. Leave us comments on blog posts that you find helpful or simply shoot us an email at kids@watermark.org to let us know how we can serve your family better. While strategies and programs may change, the goal for us remains the same: To introduce kids to a perfect, loving Father through a relationship with His one and only Son who died and rose again for them, that they might be transformed by His Spirit to serve others and lead them to follow Him as well. Praying along with all of you parents toward that end. 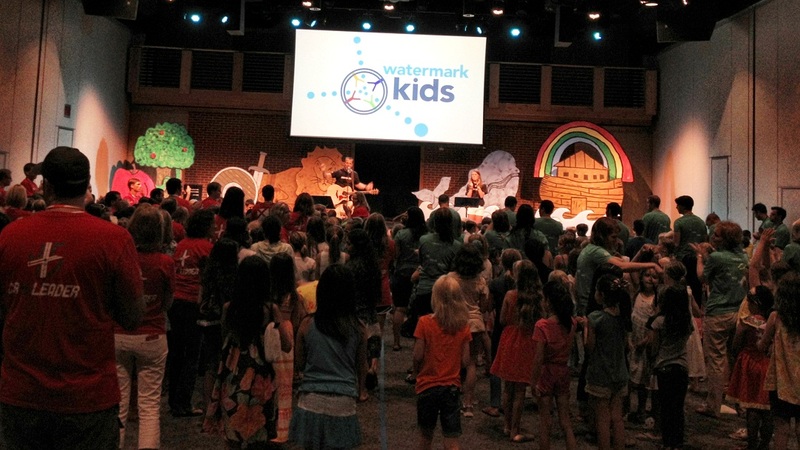 How have you seen God use Watermark Kids in the lives of your kids this past year? Leave a comment below and tell us about it? The post What’s New in Watermark Kids? appeared first on Watermark Community Church Blog. Watermark / Watermark Blog / What’s New in Watermark Kids?